Air heat pumps are the most common. They take heat from the outside air and transfer most of it indoors. 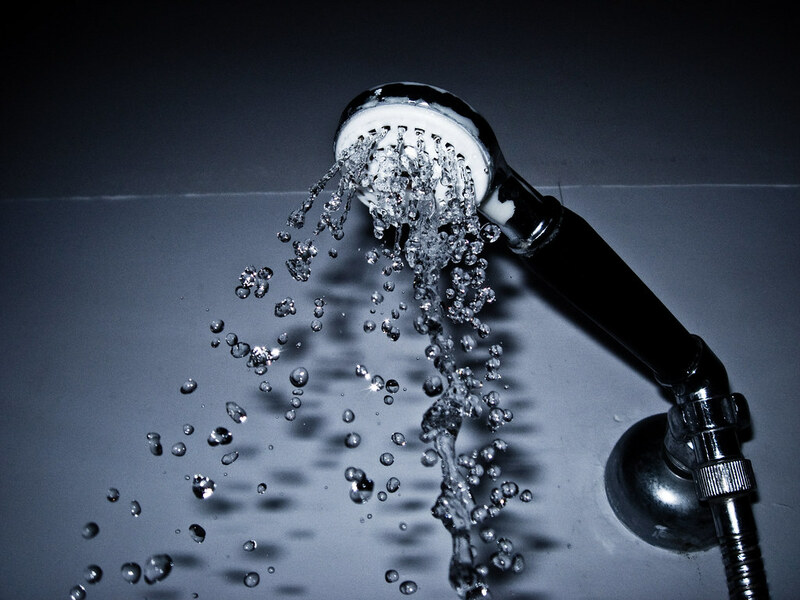 Water heat pumps need a constant water source like a river, lake, water tables, or man-made reservoirs. They use the water heated by solar radiation to provide warmth but are not as dependable as other systems. Geothermal heat pumps use the ground to provide constant temperatures all year around. The piping is installed at certain depths where heat is stored naturally, hence they are considered a modern technology that uses renewable resources. They are considered more efficient than solar panels. 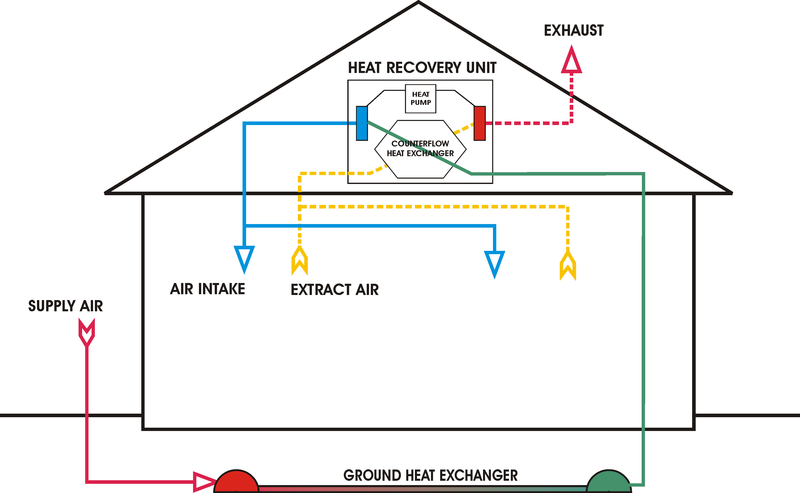 How a geothermal heat pump works. Note: All heat pumps work by the same principle and have the same main components. Air and water heat pumps have different heat exchangers, but they function the same way. Work well all year around since they can cool and heat the air. Efficient, they generate up to 3 times more energy than they consume. Heat pumps usually cost more than furnaces, no matter the latter’s type (but it pays off in the not-so-long run). 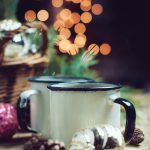 If temperatures regularly drop below 45 degrees Fahrenheit or so, an additional heating system might be needed – like a furnace. Heat pumps generally have shorter lifespans because they are used all year around & higher maintenance costs. To protect their components from wear, you need to get professional help with selecting the appropriate size of heat pump. Natural draft furnaces: This type of atmospheric burner furnaces use warm air’s tendency to rise up to effectively heat a home. They are the least efficient and the simplest HVAC devices that exist since the early 20th They use wood, coal, natural gas, or oil to produce heat, which is then distributed through large ducts all over the house. Forced air furnaces: Also a type of atmospheric burner furnaces, these are an upgrade to the previous systems. They cannot surpass 65% fuel efficiency. Forced draft furnaces: These mid-efficiency furnaces use a steel heat exchanger and a multi-speed blower to compliment an air conditioning system. Condensing furnaces: These high-efficiency furnaces register at least 89% fuel efficiency and can go as high as 98%. They are the most common modern furnaces and require at least 26% less fuel than other furnace types. Single-stage furnaces, also known as standard furnaces, only have on/off settings; The fuel flow cannot be controlled further. They are about 80% efficient. Two-stage furnaces have an additional transition option which only uses about half of their capacity. They use a thermostat to conserve energy by regulating their activity between off, mid, and high. Most two-stage furnaces have an efficiency rate of about 90%. Modulating furnaces are the most efficient heating systems at the moment. They work by permanently adjusting their activity and output with as little as 1% increases or decreases. Although furnaces can use a multitude of fuels and resources to heat up your home, the gas furnace vs heat pump debate mainly refers to gas furnaces. 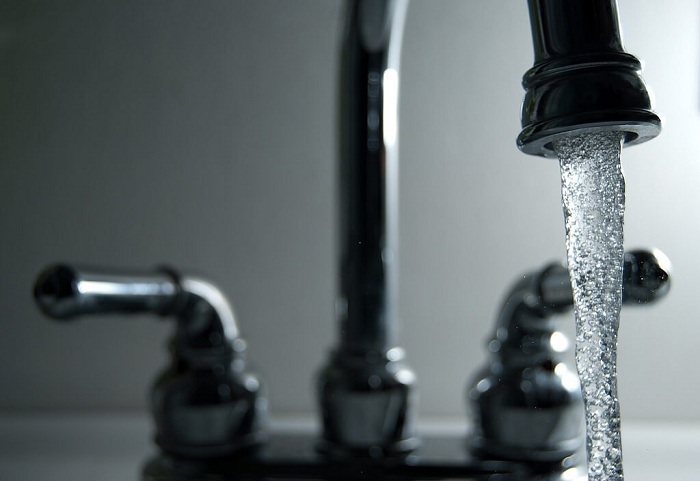 They can either have a large tank that is to be refilled yearly or whenever needed, or be connected to the residential gas distribution system and be billed monthly. Generally, a furnace will be less expensive than a heat pump. Gas furnaces are the most efficient: They convert up to 98% of the gas into heat. A furnace will efficiently heat a home during the coldest winter months and can also act as a backup to a heat pump when temperatures drop below 45 degrees Fahrenheit. About 15-years lifespan, a bit longer than a heat pump. A furnace will only heat the air; To get a comfort and efficiency that is similar to a heat pump’s, an upgraded air conditioner is needed. Gas leaks and fumes can endanger your life. 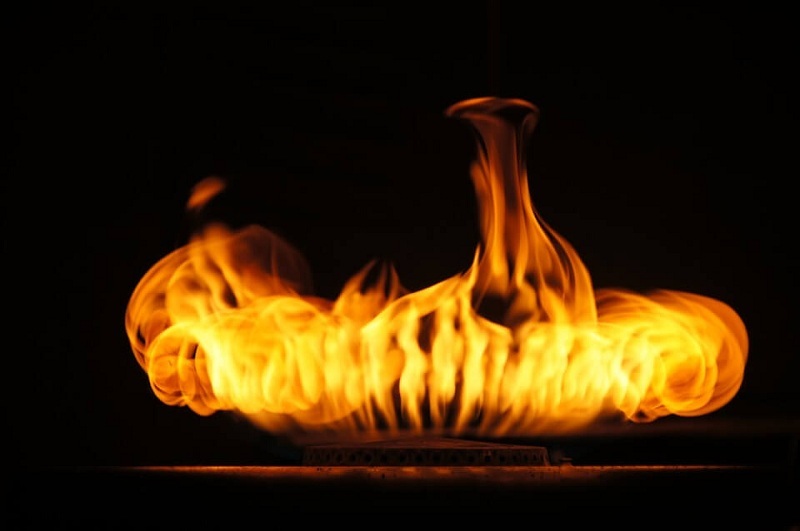 In addition, there’s always a risk of fire if the controlled gas combustion goes wrong. Always use a professional installation service and never cut corners on maintenance. Now that we know how the two systems work and which are their most important characteristics, let’s see how these pros and cons influence some important criteria everyone needs to keep in mind. The electric heat pump definitely wins this round, given that no combustion takes place inside your home. other than the refrigerant, no fumes can escape from a heat pump. They are also environmentally-friendly. 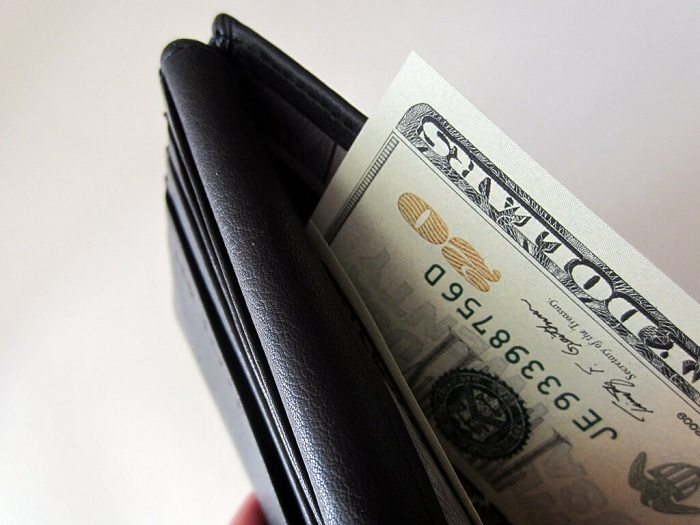 Operating costs generally tip the balance in favor of heat pumps for warmer areas. Installation costs are similar, but we need to take into account the fact that heat pumps can also cool off a house. If you choose to go with the furnace, you might also need an air conditioner for those hot summer months. New gas furnaces can be up to 98% efficient – which is an impressive rate. However, a heat pump can be as much as 300% efficient if outside temperatures don’t drop too low. This is possible because heat pumps do not use fuel to heat up or cool off your home, but amplify the heat that is already present in the outside air, water, or ground. In the heat pump vs furnace debate on efficiency, heat pumps win if talking about hotter climates or mild ones with few extremely cold days. Otherwise, a furnace will be the right choice. It is important to note that heat pumps register their highest efficiency rates when warming up the house. Furnaces are more reliable for heating since they work well at any outside temperature. However, some heat pumps also incorporate an electric backup system for when temperatures drop below 40-50 degrees Fahrenheit. 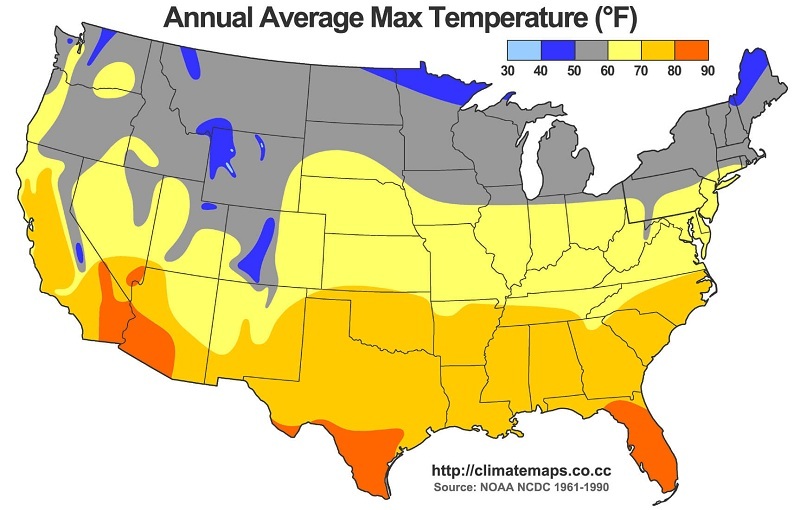 Heat pumps offer comfort all year around in areas with mild winters. Gas furnaces have an average lifespan of about 15 years. Heat pumps generally have shorter lifespans since they are used twice as much as furnaces. This can also increase yearly maintenance costs to considerable amounts. However, if the capacity of the heat pump accurately matches the space it needs to acclimatize, these costs are drastically reduced. Both systems can be easily operated and have multiple safety mechanisms; Nevertheless, furnaces should never, ever be operated by children. Feasibility of different systems for your area. The heat pump vs gas furnace debate is only controversial for areas where temperatures rarely drop below 45 degrees Fahrenheit. In the heat pump vs electric furnace debate, the heat pump will always prevail as the most efficient. If you live in the Southern part of the U.S. or on one of the coasts, a heat pump might be the best investment if you did not just replace your air conditioner. Having a heat pump and an air conditioner is redundant and will drastically increase the energy costs, since air conditioners and heat pumps (when cooling the air) are big consumers. 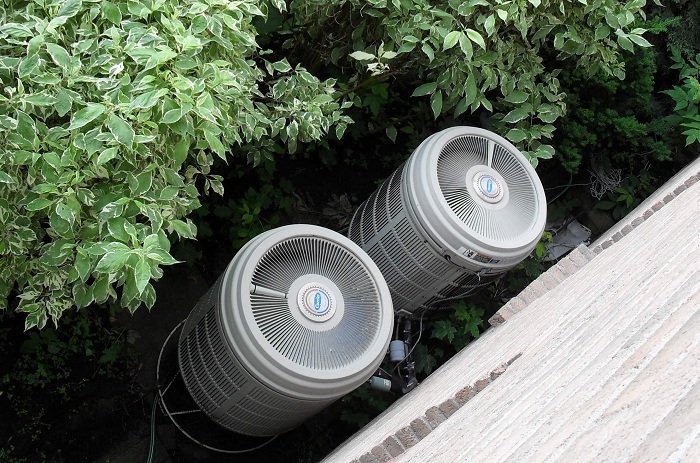 unlike ACs, however, heat pumps make up for these losses during the winter months. All in all, a furnace is a good choice for those who do not need to cool off their homes or already have an air conditioner installed. They are highly functioning no matter the outside temperature and provide warmth and comfort throughout cold months. Heat pumps are great for areas with gentler winters and extreme summer temperatures. The heat pump vs AC debate is about 100 years old but stronger than ever. A quick look at their reviews illustrates this better than anything else. While a customer praises a product for being the best and most efficient, another one condemns it for not working properly or breaking down. The air conditioner vs heat pump discussion is far from short or simple. ACs and heat pumps use coils to circulate refrigerant which is expanded and/or compressed when moving through coils. The expansion process cools off the refrigerant, while compression heats it up. 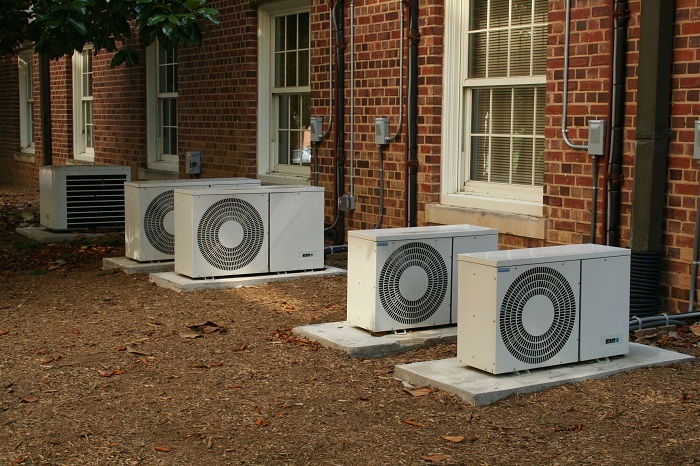 Unlike most air conditioners that only have air cooling functions, heat pumps are able to use both processes to provide comfortable temperatures all year around. 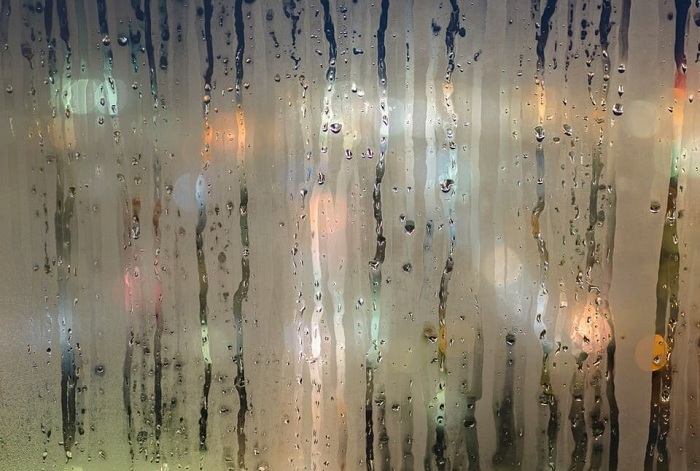 Excessive humidity makes us perceive the air as warmer or colder than it actually is, so removing moisture is essential for a comfortable environment. Even though air conditioners are known to control moisture, more heat pumps offer this option as well. There are many variations to these products. Heat pumps, for example, can come in all sizes and capacities – and so can air conditioners. Ductless heat pumps, or mini split heat pumps, are recommended for smaller rooms or garages that do not need cooling and heating 24/7. But is the heat pump vs AC battle really necessary? You might have noticed we mentioned most wall air conditioners are only able to cool off the air inside a home; This happens because some AC units make use of the inverter technology to also heat the air. 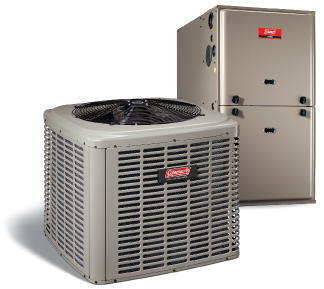 To put it simply, they incorporate heat pumps to create a highly efficient heat pump air conditioner combo. However, they are only to be used occasionally since central air conditioners with heating functions are not efficient and will drastically increase energy costs. A portable air conditioner with heat pump is a great choice for small rooms that only need climate control from time to time. They take up little space and can be stored far away from guests’ eyes when not in use. Other than the fact that ACs usually have higher SEER than heat pumps when cooling off the air, there is no major functionality difference when the outside temperatures are high. However, heat pumps are considered the most effective electrical heating systems at the moment. It’s impossible to assert which one of these two HVAC appliances is more effective because there are many variables involved. Climate is the most important one, but local electricity prices and the staggering variety of air conditioners and heat pumps also add to the difficulty of this question. Note: The values mentioned below are approximates only. Running costs heavily depend on local energy prices and frequency of use. When looking at the acquisition prices, heat pumps usually cost more than air conditioners: Up to $2,000 more than a central air conditioner and about $500 more than a ductless one. However, if installed in appropriate climate areas and under the right conditions, they can save energy from day 1. The U.S. government often provides rebates for saving energy to citizens who only use heat pumps to regulate the temperature inside their homes. Air conditioners initially cost less, but even the most effective one will not help you save as much as a heat pump on the long run. There are no major differences when talking about installation costs of a heat pump vs air conditioner. Troubleshooting and maintenance costs are not much different either if used in the right climates. No matter your choice, we recommend only buying new appliances that have not been used as display models. To verify this, you can look for an original manufacturer’s seal on the outside of the packaged item. For those who live in warm areas where heating is only needed a few days or weeks per year at most, an air conditioner is the right choice. Its generally higher SEER and ability to cool off the air like no other appliance makes it the best HVAC unit in these cases. If you live in an area where temperatures rarely go beyond the freezing point, a heat pump can be the right choice. 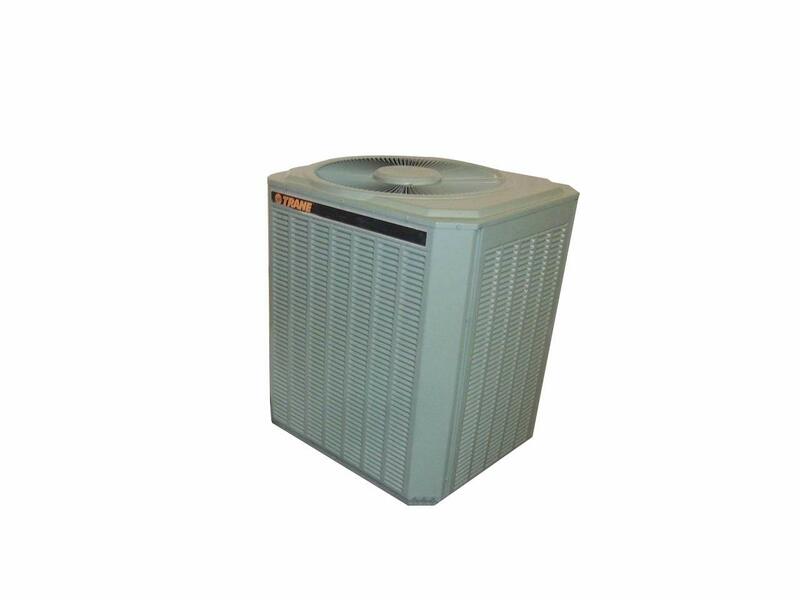 It can successfully act as a furnace and an air conditioner with heat pump if the outside temperatures are not extreme. 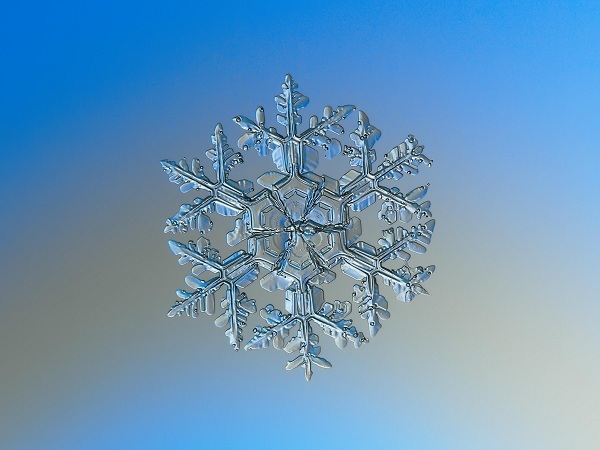 However, heat pumps have limited capabilities and functionality when it comes to extremely cold climates. When temperatures drop well below freezing points for prolonged periods of time, its outside coils collect ice which interferes with their efficiency. 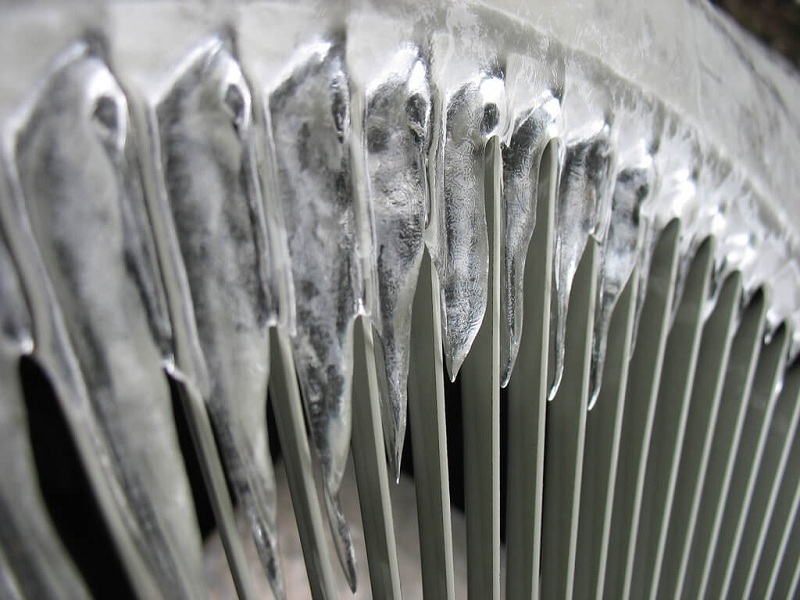 Many heat pumps have special burners to remove the ice, but they are only effective above certain temperatures and can drastically increase annual operating costs. Therefore, a furnace could be a much more fitting choice for colder areas (under 30F). No matter your choice, there is one aspect you need to take into account when deciding how powerful the HVAC appliance will be. A higher BTU air conditioner or heat pump is not always the best option – especially if we’re talking about humid areas. A powerful climate control appliance will, indeed, heat or cool the house faster, but it will not fix an important aspect: Humidity. Given it will only function at reduced capacity and from time to time, the AC or heat pump will not be able to properly control the moisture and will lead, in time, to mold and respiratory issues. For moist climates, the best HVAC appliance is one of small capacity since it will work at a steady speed and permanently remove moisture from the inside air. Those living in sunny areas might benefit from a solar panel compatible heat pump or AC. Although considerably more expensive, once installed they will require little to no running costs. If you already have an environmentally-friendly house which converts solar power to energy, these might be what you need. They can be used as standalone HVAC appliances or as auxiliaries that will help keep a steady and comfortable temperature while maintaining expenses to a minimum. Acquiring a highly efficient HVAC appliance is a must for keeping energy bills low. The latest models have a SEER of up to 25, but anything above 18 is considered very efficient. But efficiency isn’t all: Extra functions are just as important. We already mentioned moisture and how it can enhance the perceived temperature. Other useful features can be mobile control or programming. Regularly changing the filters can also help with keeping the bills to a minimum, since dirty and clogged ones will make the appliance run at higher than needed capacities. This results in extra monthly expenses that can be easily avoided and can even lead to the appliance breaking down which will add to the costs. Changing filters is also recommended for health reasons since over time they gather dust, spores, allergens, or bacteria that can be harmful to our wellbeing. Itchy or runny nose and eyes are signs the filters need changing or cleaning. This should be done as often as possible, at least twice per year for temperate climates and 4 or 5 times for areas where the appliance is used all year around. When using an HVAC appliance, keep the windows closed to avoid wasting energy. Inside ducts or vents and outside units should not be obstructed by furniture, walls, or other objects since this might impede proper functioning and can also damage the obstructing object. For example, heat pumps or air conditioners which can also increase the amount of moisture in a room can deter furniture, doors, or other woodwork items. Window coverings are another energy-saving tip that is often overlooked. Thick textile coverings can keep the house a few degrees cooler or warmer by stopping sunlight and draught from coming in. Although we mentioned heat pumps involve lower running expenses, the cost effectiveness of a heat pump vs AC heavily depends on the frequency of use, global positioning, the needs of individual customers, and local energy costs. There is no universally right choice when it comes to cooling and/or heating systems: Every type and model of appliance on the market is someone’s best choice, as well as the most unfit product for someone else. Finding the best central air conditioner is no easy task: It has to be efficient and provide comfort while running. Of course, another aspect that might count for some is the unit’s shape, size, and design since space can be an issue at times. 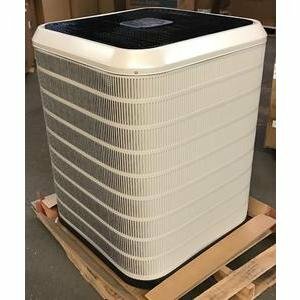 However, what most buyers ignore when looking for the best central air conditioners are the durability, warranty period, and extra services the producer might offer. So What is the Best Central Air Conditioner for You? ​SEER, or Seasonal Energy Efficiency Ratio, measures how much cool air a system can create out of a single energy unit. If a few years ago the average SEER was between 5 and 10, 2016’s best central air conditioner systems have SEERs around 20. Humidity control is another important feature that any central air conditioner should have since humidity often aggravates the way we perceive heat. The type of compressor (standard or multi-stage) is also relevant. Standard compressors can either be turned on or off automatically during functioning, while multi-stage ones operate more often but at different intensities. This creates a pleasant and constant temperature while also preserving energy. As mentioned before, comfort is also important – but many customers forget about this aspect when searching for a cooling system and end up with noisy appliances. It is recommended to acquire a central air conditioner as silent as possible – under 60 dB is a reasonable expectation for a modern apparatus. 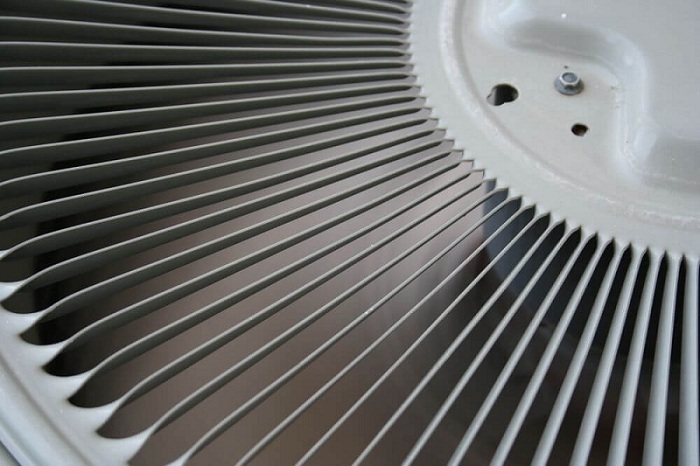 Fans with noise-reducing blades and multiple speeds are also appreciated since these will also keep the appliance silent and distribute the cool air evenly. Note: Every central air conditioner model listed below is Energy Star Qualified and uses chlorine-free refrigerant. The XC25 truly is a technological wonder we can have in our homes: This smartphone compatible, remotely programmable, and highly efficient air conditioner is far ahead its competitors. If this unit has a downside, that would be its size. The unit is somewhat large (47 x 35.5 x 39.5 inches) and might not look as elegant as others. However, its dark color can make it a bit harder to notice at first glance and less pretentious when cleaning it. 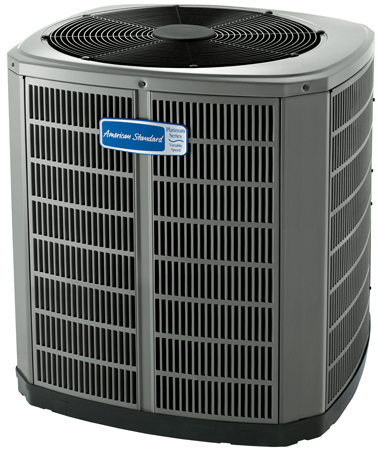 2016’s Trane central air conditioner has the best quality/price ratio given the technological advancements and efficiency behind it. With a SEER of 22, humidity control, a multi-stage compressor that optimizes its activity, and compatibility with smartphones, the XV20i by Trane got the second place in our top. 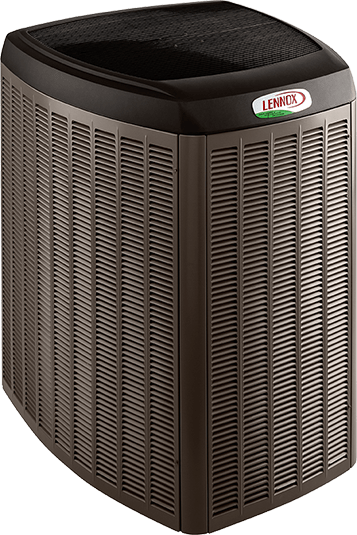 The only feature the Trane lacks when compared to the best central air conditioner, the Dave Lennox, is the ability to run with solar power – which might not be such an inconvenience to most buyers since it is not yet widely available. However, the Trane XV20i comes with a little something extra when talking about comfort and efficiency: Its base pan is insulated, which protects the unit and reduces noise up to 55 dB. With a sound level of 57 dB, the FS4BG is quiet as a mouse even when working at full speed. We can’t really decide if its design is classic or futuristic – but it definitely is elegant. It is great for maintaining a preset level of humidity, which further increases its perceived effectiveness. But none of these is why the latest Frigidaire model took the fourth place and surpassed 4 other central air conditioners on this list. What we like the most about this model is the way it uses inverter-rotary technology to adjust its activity. Thus, the Frigidaire iQ Drive FS4BG can function between 40% and 118% of its capacity to be energy-efficient, provide comfort, and a constant temperature no matter the environmental conditions. Although the best central air conditioner systems in the Carrier Infinity series feature an insulated compressor and base pan and noise-reducing blades, they still produce significantly more noise than the previous 4 models: 65 dB. The lack of a multi-stage compressor could also be viewed as a disadvantage, but they somehow still managed to achieve a SEER of 21 – which is quite impressive, in our opinion. This series also achieved a SEER of 21 and offers the same basic features like the previous one, even though it only has a two-stage compressor. However, these air conditioners are much quieter: Only 55 dB when running at full capacity. Although a bit smaller than our top pick, an American Standard Platinum ZV AC unit can be considered bulky when looking at its dimensions of 41 x 33.6 x 29.75 inches. Needless to say, these units cannot be solar powered; But they also cannot be controlled with the help of a smartphone or tablet, which might be a much more striking disadvantage to users. With a SEER of 18, the Coleman Echelon series can be considered of average efficiency. These appliances do not feature variable speed fans but do have insulated base pans which increase durability. However, even with the noise-reduction fan blades and insulated base, the central air conditioners in this series still are loud: With 69 dB at full capacity, they can be as loud as your average vacuum cleaner – but quieter than most dishwashers. So you might be wondering why even add it to this list. Well, although their SEER is not that impressive, the AC8B series by Coleman Echelon are featured on EPA’s list of most efficient appliances – Energy Star Most Efficient – just like the Dave Lennox Collection. In addition, they are smartphone compatible, which weighs more than humidity control or other features in the eyes of many consumers. 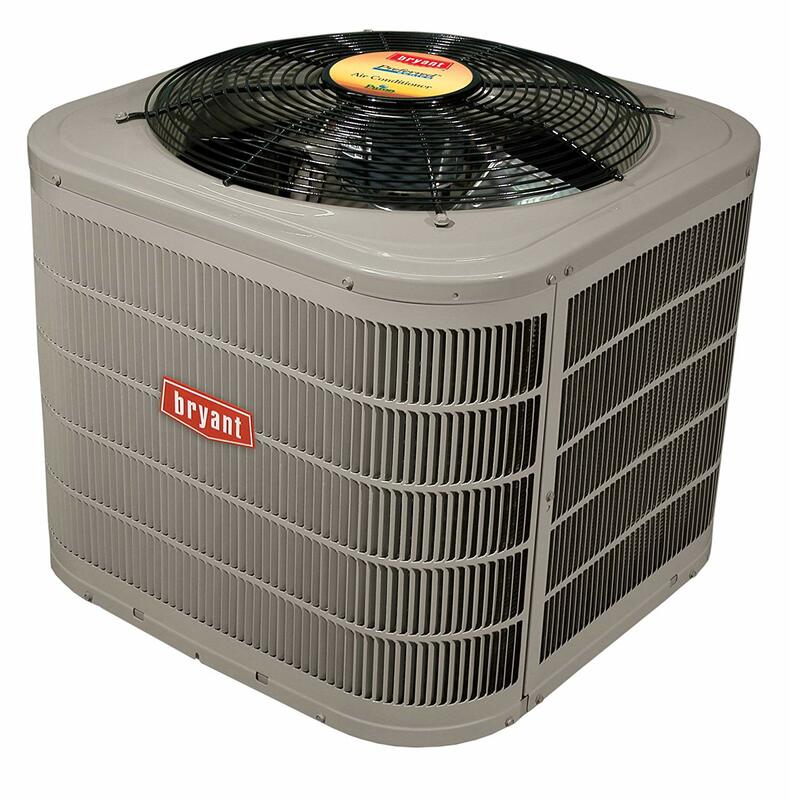 Although the Bryant Preferred series has the lowest SEER among the best air conditioner systems (only 16.5), it does offer some extra features we cannot find in Coleman Echelon’s series. The most important one, in our opinion, is the humidity control function. The 127A series can be controlled via smartphone. These central air conditioners feature noise-reduction fan blades and an insulated compressor, but the base pan does not enjoy the same treatment. This leads to the noisiest AC unit on our list, with an average of 72 dB at full capacity. 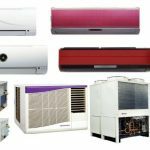 Apart from the 7 best central air conditioner systems for residential use, here are some other best rated central air conditioner brands you can consider if the aforementioned suggestions do not fit your needs or financial expectations. Although they lack in functionality or efficiency, the following suggestions feature lifetime compressor warranty – a trait not many customers can dismiss. 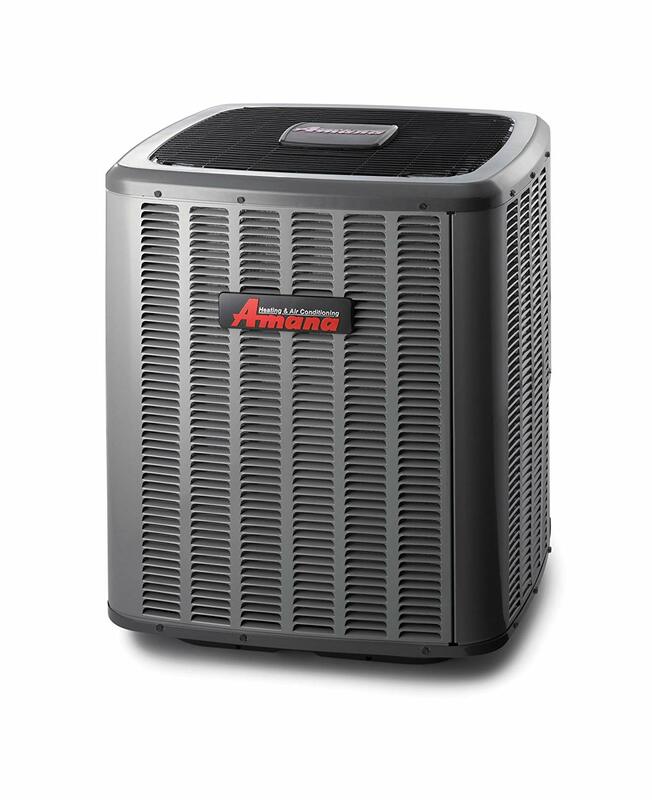 Although not the most efficient (SEER of 18) or the quietest (71 dB), Amana central air conditioners are a viable choice for those who only need to use the AC from time to time. 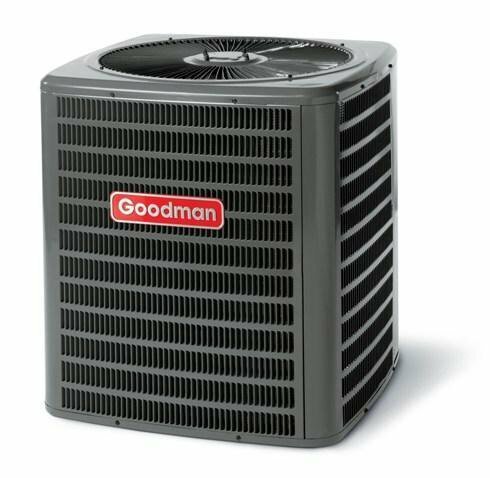 The Goodman DSXC18 central air conditioner has the same seasonal energy efficiency ratio of 18, but is slightly louder: 72 dB can be an issue for some. Neither of these central air conditioner systems has insulated base pan or noise-reducing fan blades, humidity control, or multi-stage compressors. They are not energy-star qualified but are more reliable than previous models. We personally recommend them to customers in dry climates and who only need an air cooling system from time to time, since regular use would increase the energy bills. This is up to your expectations, needs, and financial capabilities. While the 7 best central air conditioner systems are selected to fit the needs of all customers no matter the frequency of use, you can’t go wrong with choosing any one of them from our central air conditioner reviews. However, the last two models can be the best choice for buyers who only need to use the AC from time to time. Central Air Conditioner Prices: Why the Big Differences? Note: These prices only refer to the central air conditioner unit; Installation costs are not included in the examples above. As you can see, the price range is considerable for many manufacturers. The lowest price usually refers to the small, less efficient, and usually, older models that are still available for sale. The highest prices are those of new appliances that feature the highest efficiency ratio and the most powerful compressors. Even though the manufacturer is an important criterion when looking for a new central air conditioner, it is not the only one to matter. Capacity and efficiency are critical aspects that need to be taken into account when looking for a new central air conditioner. Note: 1 ton = 12,000 BTU (British Thermal Units) = the amount of energy it would take to melt 1 ton of ice in 24 hours. To put things in perspective, a 12,000 BTU central air conditioner will be able to cool off about 500 square feet. When buying a central air conditioner, it’s important to accurately match the unit’s capacity with the space it needs to cool off. An appliance that is too weak will obviously not be able to provide a comfortable temperature during summer months. However, one that’s too strong will cycle on and off every few minutes, thus becoming inefficient. In addition, given it will not work permanently, it will not be able to control the air humidity – an important factor when it comes to your comfort. No matter their efficiency ratio, central air conditioners can be heavy consumers – especially if you live in warm or hot areas. At the moment of writing, the U.S. government offered a tax credit of about $300 for those who purchase central air conditioners that comply with Energy Star rules and have a SEER of 16 or more. How much and often you will use your central air conditioner. How well insulated your home is. For example, if you live in the northern part of the country and only use the central AC 2 or 3 months per year, sending more than $3,000 for a highly efficient appliance will not make as much sense as spending $2,000 for an average efficiency one. On the other hand, if you live in Southern California, a highly efficient central AC is the best way to go – but only if you have proper home insulation. A programmable thermostat is one of the easiest and most efficient ways to reduce energy consumption in your home. It can cost anywhere from $20 to $400, but will pay for itself in a month or so. A thermostat adjusts the activity of your central air conditioner based on a pattern inputted by you. If you feel the manufacturer’s default warranty is not enough, you can invest in extending it. Default warranties usually last between 8 and 15 years, with an average of 10 – 12 years. Many sellers offer 1, 2, or 5 extra years of warranty for a few dozens or hundreds of dollars. This is particularly important for those who live in warmer climates since the appliance will be used more frequently. Keep in mind the lifespan of a central air conditioner unit depends on how often you use it. The average lifespan of 10 years that most manufacturers promise refers to temperate areas where the appliance is used a few months per year. If you live is warmer climates with high humidity, or by the ocean where the air is saltier, your central AC is likely to last about 8 years or less. 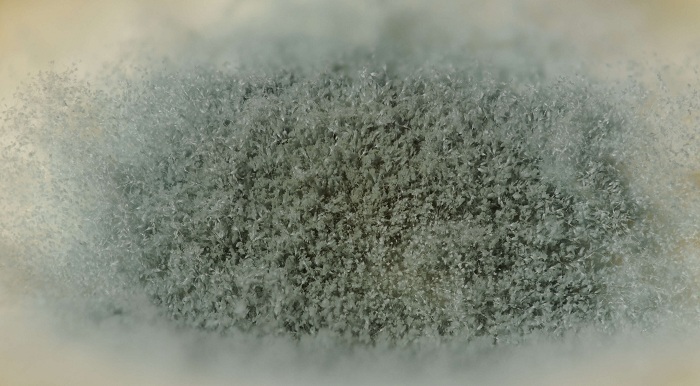 Most central air conditioners today come with a humidity control function. However, other features might be desirable for some customers. Quiet operation functions can be extremely useful for small homes or for those where the outside unit is placed near the bedrooms. Multistage compressors are another desirable feature in central ACs. They can significantly lower your energy bills and extend the appliance’s lifespan. Delivery costs: Completely depend on each retailer. Materials & supplies: Between $50 and $150 if your home already has ducts and they are properly insulated. Ducting: Between $400 and $3,500, mainly depending on the size of your home. Insulation: Between $450 and $3000, depending on how many ducts you have in your home. Debris removal & cleanup: If you do not want to do this by yourself, be prepared to pay $100 at most for these services. Some high-SEER central air conditioners will also require solar panels to keep the energy consumption to a minimum. Therefore, you might need to be ready to invest in these, too. Ask yourself how long you plan on living in this house. If you are not sure, installing an expensive appliance might not be the best idea. Always check for references and read reviews for contractors. Ask recommendations and quotes from at least 3 professionals. Analyze what they have in common – ideally, they should have identical or similar capacities. Then, analyze their differences and see which ones matter the most to you. Maybe a certain model has an extensive warranty, while another is highly efficient. Use what you read in our article to decide which will fit your needs. Do not cheap out, but don’t go above your budget either. All in all, installing a new central air conditioner will cost between $2,000 for small homes or apartments and $15,000 or more for large homes. Given the significant number of variables that decide the central air conditioner prices, it would be impossible to give a more accurate response. 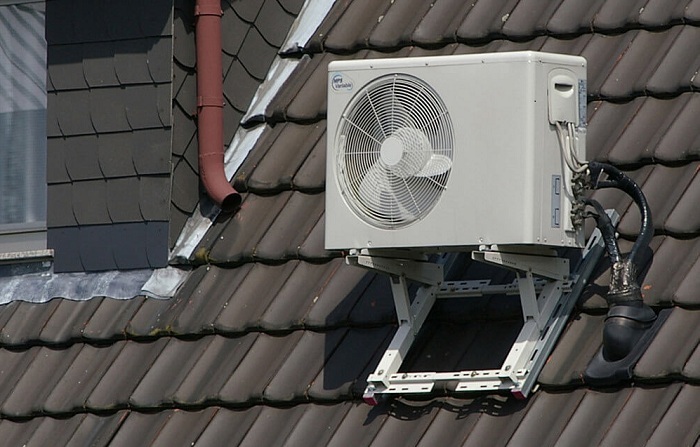 Ductless heating and cooling systems have a continuously growing popularity. More Americans choose split or multi-split HVAC systems over ducted ones. Although the main reason they do so is convenience when installing them, ductless systems are superior when talking about running costs, comfort, air quality, and environmental effects. Just as ducted heating and cooling systems, ductless ones can be used all year around. However, a ductless heating and cooling system has multiple benefits over traditional ducted ones. Here are the most important ones. Ductless systems are mistakenly believed to interfere with each home’s aesthetics, this simply isn’t true. The inside units, also called air handlers, have a timeless look that will fit in any interior. In addition, they come in a multitude of sizes, shapes, and colors so they can be matched with each room’s color scheme. Portable split systems are connected to their outside unit through a flexible pipe. Therefore, they can be stored in a nearby closet or behind a couch when not in use. The first advantage we notice when installing a ductless heating and cooling system is how flexible it is. Although ducted systems usually have vents that are leveled with the walls and floors in our homes, they can only be installed at a certain distance from their main unit. A ductless system’s outside unit can be placed up to 50 feet away from the inside unit(s) without considerably affecting the performance. In addition, the air handlers can be installed on walls, ceilings, or floor if space is limited. All ductless heating and cooling systems reviews have one thing in common: Quick and easy installation. Given they are ductless, these HVAC systems require less labor and generate far less clutter than central air conditioners. Their ducted counterparts can take days to install and leave behind pounds of debris, but ductless systems are a breeze. They only require a 3-inch hole in the wall, which is then insulated in a few minutes. Energy costs widely vary across the United States, but one thing is sure: Electricity is more expensive than a few years ago. Although ductless heating and cooling systems cost more than other HVAC systems, monthly utility bills are up to 30% lower. This might seem exaggerated but the truth is, no matter how well-insulated ducts are, they lose a lot of energy. In addition, the variable-speed compressor technology in ductless systems adjusts their functioning to the current outside temperature. Therefore, the initial investment will pay off in the not-so-long run. Energy star certified appliances also make you eligible for government rebates and incentives, which further cuts down costs. Being able to individually control temperatures in different rooms make ductless cooling and heating systems highly flexible. Multi-split systems are particularly effective at acclimatizing only part of your house. This helps you conserve energy, reduce utility expenses, and be environmentally friendly. Each air handler has its own thermostat which increases the accuracy of the system and your overall comfort. Timers and special functions can be particularly useful in saving energy and keeping your house greener. On a typical Saturday, your ductless system can automatically stop heating up or cooling down the bedrooms once everyone has gotten up. During the day, it is generally needed in the living room and/or dining room. Once evening comes, the system will resume its activity in the bedrooms and stop working in common areas that will no longer be occupied. Some systems can even be programmed to work differently during workdays and weekends, which can be extremely useful. More appliances today come with a Wi-Fi connection that allows you to control them through a web or mobile app. 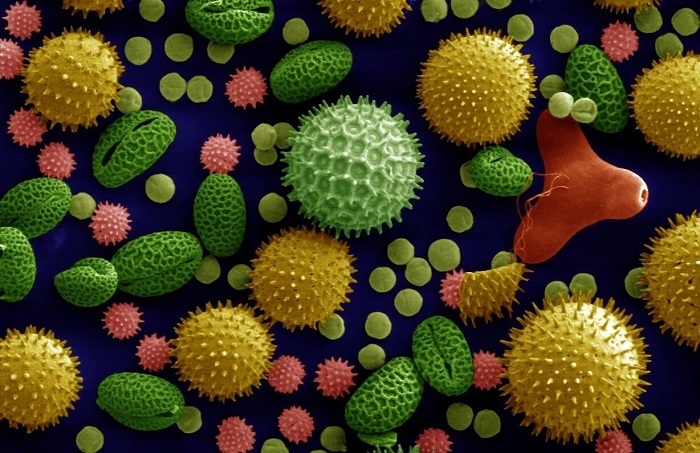 Allergens that can be found in the air during spring. Modern split or multi-split heating and cooling systems also work as air purifiers. They are equipped with filters that gather dust particles, allergens, or microorganisms and protect your family from airborne diseases. 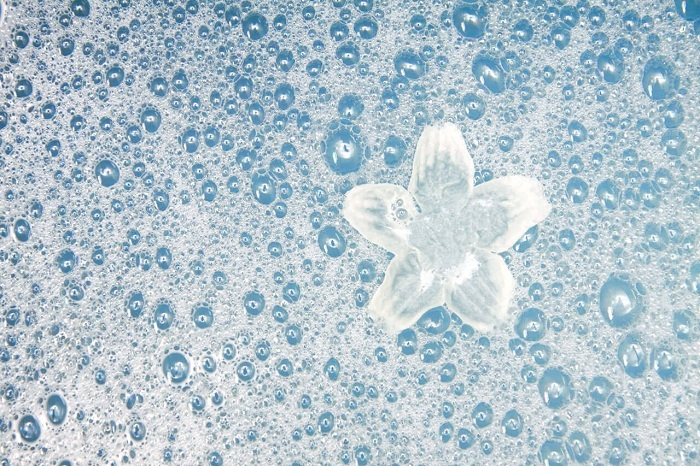 They also reduce cross-contamination to nearby rooms or unpleasant smells that can occur in a home. If these filters are regularly cleaned, using an air purifier becomes redundant. Most ductless systems manufactured in the last few years also have a humidity control function. Its main benefit is maintaining a comfortable environment in your home, but can also have health benefits. Your eyes, respiratory system, and skin can be affected by air that is excessively dry or humid. By keeping humidity constant and at healthy levels, ductless systems actively protect you from health complications – be it summer or winter. Ductless system’s impressive energy efficiency is not only great news for our pockets. By consuming less energy, these appliances lower the carbon footprint of your home. Ductless systems smartly use thermodynamics to acclimatize our homes, but they also use advanced chemistry to be eco-friendly. 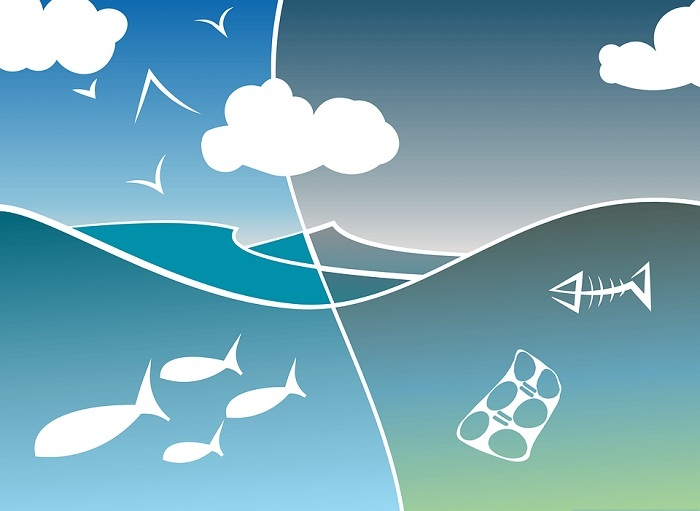 By replacing pollutant substances that were used as refrigerants with the new R410A, modern ductless systems reduced their effect on the ozone layer close to zero. You can forget about rumbling, rattling, or even humming with a ductless heating and cooling system. When in use, the outside unit is considerably quieter than its ducted counterparts. In fact, it is quiet enough to not distinguish its noise with the windows closed. The inside air handlers are as noisy as a whisper, or about 20 dB. Given there are fewer components, the maintenance process takes less time and is cheaper for a ductless system. In addition, repairs are also less costly and messy given all the components are easily accessible. In a ducted system, however, plenty of things can go wrong. In a ducted system, poor connections among different segments of the duct or deficient insulation can lead to considerable energy losses. This leads to high expenses and a considerable amount of time invested in optimizing the system. With a ductless heating and cooling system, this is no longer an issue. The average life expectancy of a split or multi-split heating and cooling system is between 10 and 16 years. However, if properly maintained, a ductless heating and cooling system can last over 20 years. Of course, for all these to be valid you need to create favorable conditions for your ductless heating and cooling system. Choosing the right system size is by far the most important step. An undersized one will not provide enough warm or cool air for its designated space and will waste a lot of energy while trying to keep up. At the same time, an oversized unit will cost more than needed for its purpose. For small or medium-sized rooms of up to 350 square feet, a 9,000 BTU inside air handler should be enough to provide a constant temperature. Rooms of up to 500 square feet usually require a 12,000 BTU indoor unit. For rooms of around 750 square feet, an 18,000 BTU system would make more sense. Larger common spaces like dining rooms or living rooms with open space kitchens will need more powerful air handlers. A 1,000 square feet room will be comfortably acclimatized by a 24,000 BTU inside unit. For rooms of 1,200-1,300 square feet, an air handler of 30,000 BTU is required. Spaces of 1,500 square feet can be successfully acclimatized by a 36,000 BTU inside unit. Outdoor units for multi-split systems are designed to meet the combined flow of multiple indoors air handlers. Nevertheless, larger homes might need 2 or 3 multi-split outdoor units to keep up. 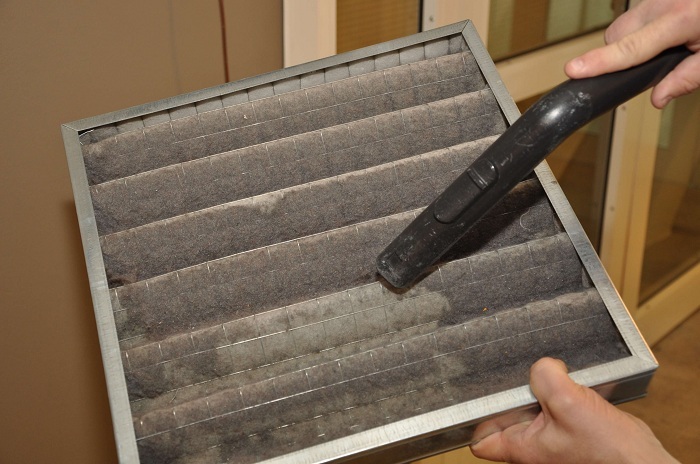 Changing or cleaning the filters every 3 months is a must for an efficient appliance that lets out clean air. Filters are effective at gathering dust or potentially harmful microorganisms, but they can become health hazards if not cleaned or changed. The warm, sometimes humid, spongy material can become an agreeable place for said microorganisms to multiply. When the system is turned on, these will be released into the air you breathe – which is not desirable. Maintenance is the second most important procedure that will improve the functioning of your ductless HVAC system. A yearly maintenance visit from a professional is recommended, even when things seem to run smoothly. This will guarantee your split or multi-split appliance will work efficiently and provide a comfortable temperature all year around. Acclimatization stopped being a caprice a long time ago. Today, it is an amenity everyone needs to have access to. Choose a green and healthy appliance for cooling and heating your home; Go ductless! If you live in humid environments and worry about your wellbeing, check out our dehumidifier reviews. We analyzed individual products and series to bring you accurate and unbiased reviews. Everything that you need to take into account when looking for a new dehumidifier is mentioned below: Performance, functions, noise level, air filtration systems, design, and the list can go on. Air dehumidifiers might seem like an eccentricity, but they are far from useless. Not only they drastically improve thermal comfort, but they also help us stay healthy. Mold and mildew are the most noticeable effects of high humidity, but they are far from being the only ones. 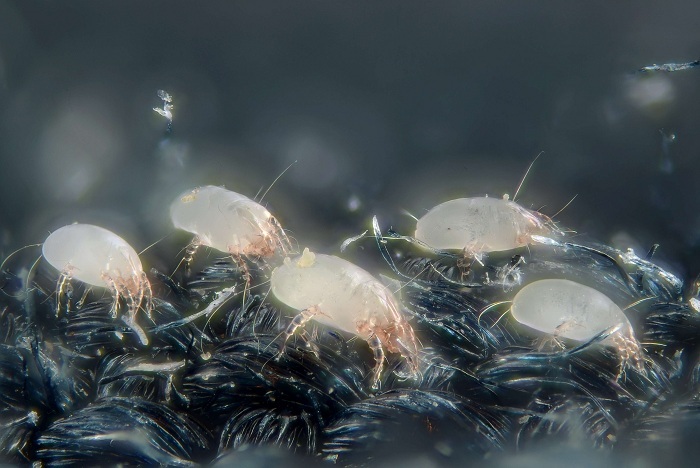 Microorganisms thrive in humid environments, and so do dust mites. These can lead to a series of serious health issues like lung diseases (the most common one being asthma) or allergies. Products in the Frigidaire FAD series are by far the best whole house air dehumidifiers – and they also are Energy Star certified. The FAD704DWD has a capacity of 70 pints, while the FAD504DWD can hold up to 50 pints of liquid. They are considered top of the line and feature a humidistat, an electronic control panel, an easy to clean filter, automatic shut off, continuous drain and the list can go on. Both are able to function at 2 speeds and permanently adjust their functioning after analyzing the amount of humidity in the air. The Frigidaire FAD series also makes good use of the Effortless™ technology to reduce energy consumption. Its air dehumidifiers are, overall, user-friendly appliances that are great at removing moisture from an entire home. We also appreciate their many extra features. The Frigidaire FFAD series deserves a special mention for its elegant and slim design. The FFAD7033R1 and the FFAD5033R1 are the prettiest appliances you could buy. While not the best, they definitely are of above average performance. The GE ADER50LQ is an above average whole-house dehumidifier. It is the most effective in homes of no more than 1,500 square feet and has a 17.5-pint reservoir. You can also install a continuous draining system that uses gravity to eliminate the liquid inside. What we liked the most about the GE ADER50LQ is its customizable fan speed. It has 3-speed settings available – a huge advantage over most whole-house dehumidifiers, which only have 2. This leads to a quicker dehumidification process when using the fastest fan speed available. However, it also leads to a reduced noise output for those times you need some peace of mind. This appliance also is Energy Star certified, which guarantees low electricity consumption. However, this product lacks in features when compared to similar ones. First of all, it doesn’t come with a pump nor is one available separately. Secondly, it doesn’t have a 24-hour timer. Its size is no strong point either: With 11 x 24 x 16 inches in size and a weight of 42 pounds, it can be considered bulky. Although the Keystone KSTAD70B comes with a defrost function that makes it a great choice for basements and crawl spaces, it has a noise output of only 53 dB. Therefore, we highly recommend it as a whole-house dehumidifier. The KSTAD70B has a 10.4-pint reservoir and can serve spaces of up to 3,800 square feet. 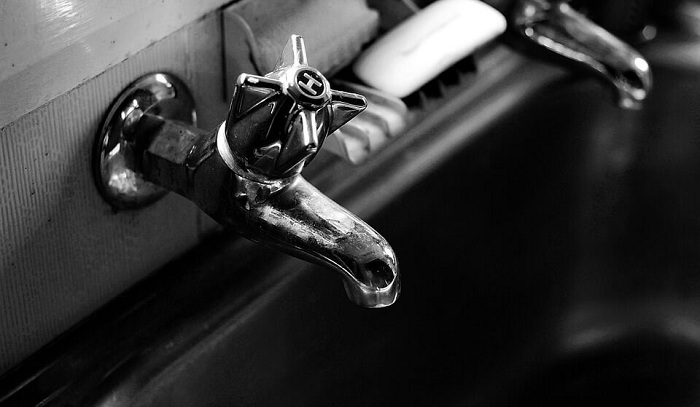 As you probably figured out from its name, this appliance is able to remove up to 70 pints of moisture in 24 hours. It comes with a humidistat, auto-restart and auto-shutoff functions, timer, digital display, and an air filter that can be easily cleaned. However, it does not come with a drain pump, nor is one available to purchase separately. Weighing only 40 pounds and measuring 11.3 x 15.5 x 23.3 inches, it is one of the most compact portable air dehumidifier in its range. All in all, Keystone’s KSTAD70B dehumidifier is a great choice for large homes. It needs little supervision and works smartly to remove moisture using as little energy as possible. Basements and crawl spaces are particularly prone to developing humidity because of the significant fluctuations in temperature. Given these spaces are not airtight, the high humidity will affect your entire house’s structure – in fact, about 40% of the air in your home comes from these places. They need to successfully remove over 100 pints of moisture from spaces of at least 2,000 square feet. Therefore, a basement dehumidifier needs to be much more powerful than a whole house one. Basement dehumidifiers should also have a continuous drainage system and auto-defrost functions. Surely, you don’t want to empty their tanks every day or find yourself in a humid environment during colder months. Products in the Danby DDR A2GP series are feature-packed and offer everything you need from a residential dehumidifier. The 3 products in this series, the DDR30A2GP, the DDR50A2GP, and the DDR70A2GP only differ in capacity. We highly recommend the last one to be used as a basement dehumidifier – it is the most powerful and will perform well even in larger homes. However, the first two can also work well in basements of smaller homes. Although the DDR70A2GP has a 14-pint tank that collects moisture, this is far from enough for a basement dehumidifier. 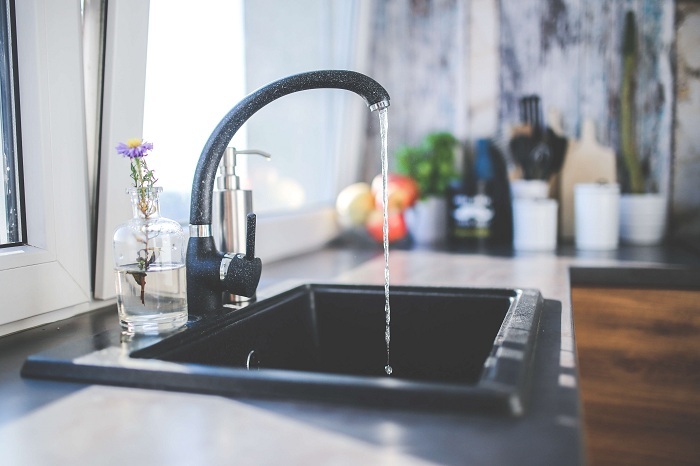 Nevertheless, it can also be connected to a hose to eliminate the need of permanently emptying the reservoir. 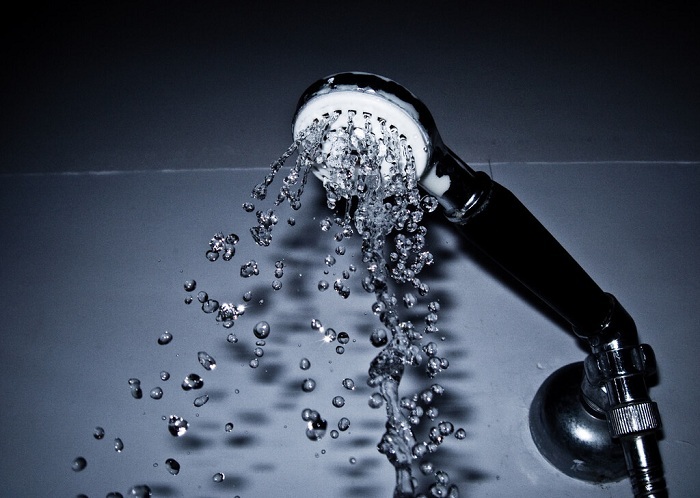 You can also install a pump to get rid of the moisture – but we’ll get to that in a moment. Units in the DDR A2GP series are highly customizable and user-friendly. 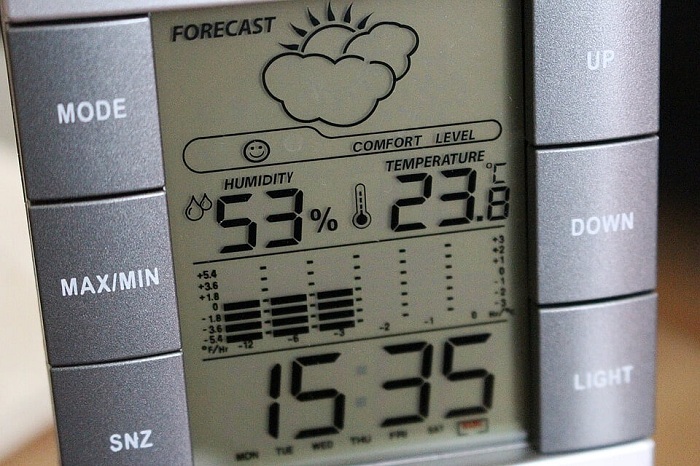 You can choose your desired humidity level using increments of 5%. The 2 fan speed options are also great at adjusting its activity, and so is its programmable feature. But the trait we like best about these Danby products is their air filters. Given the high amount of moisture in your basement is a great environment for microorganisms to thrive in, an air filter is a must. There’s one thing we didn’t really like about the Danby DDR A2GP: The fact that you need to acquire the condensation pump and the humidity sensor + thermometer combo separately. This can be extremely useful for those who cannot use gravity to get rid of the moisture. However, if we think about the well-balanced price/quality ratio, we acknowledge it’s still convenient. The Santa Fe Compact 2 is, is out opinion, the best dehumidifier Santa Fe ever came up with. In fact, going as far as naming it one of the best on the market right now would not be an exaggeration. According to the manufacturer, the Santa Fe Compact 2 exceeds efficiency requirements by Energy Star if used in tightly sealed environments. Measuring only 1`2 x 1`2 x 21` inches and weighing 55 pounds, this model truly is compact – in fact, it can also be installed in crawl spaces. It can function without issues in low temperatures and comes with high-quality air filters that can also be upgraded. Other than that, Santa Fe’s Compact 2 dehumidifier comes with every other basic feature that you would expect, like the auto-restart function. However, what we liked the most about this product is the ducting option. Just like a ducted heat pump, this dehumidifier can extract moisture from basements that are divided into multiple rooms. You also have the option to install a pump to get rid of the moisture, a basic requirement for dehumidifiers that will be used in basements. The Perfect Aire 3PAD95 can draw 95 pints of moisture from your home in 24 hours, which makes it a high-capacity basement dehumidifier. It can be used in spaces of up to 6,000 feet to adjust the amount of moisture in the air between 35% and 85%. The Perfect Aire 3PAD95 is a user-friendly appliance that is packed with features. Its defrost function, customizable humidistat, washable filter, timer, and programmable functions are just some highlights. Just as with most high-performance dehumidifiers, the 3PAD95 has a draining option that eliminates the need of manually emptying the tank. This air dehumidifier surprised us with a noise output level of only 58 dB – an impressive spec if we think about how powerful it is. In fact, this unit is quieter than appliances of lower performance. If placed in basements, the noise output will not affect you at all. Its size is also a big plus, especially considering its capabilities: Only 14.2 x 19 x 24.8 inches. However, we noticed it is not as resistant as other models. If you plan on installing it and letting it do its job, this should not affect you much – but it needed to be said anyway. This concludes our article on dehumidifiers reviews. Now, you should be able to choose the best appliance that will help your home stay mold-free. The whole house dehumidifiers we mentioned earlier should be more than enough to keep your goods undamaged. Of course, the aforementioned Danby, Santa Fe, and Perfect Aire models can also be used as whole-house dehumidifiers. However, their auto defrost functions will be useless and add a little to the price. In addition, high-performance humidifiers tend to be a bit noisy. Propane costs about 50% less than gasoline and has a longer shelf life – in fact, decades can pass without it degrading, given it is stored in a well-maintained tank. It’s impossible to waste propane (spill it). If you somehow manage to do so, propane evaporates almost instantly. Propane-powered engines are usually quieter. Before diving into the best propane generators of 2016, we need to first talk about 2 important notions: Surge rating and running power rating. A generator’s surge rating is the power some appliances need to get started and running. It can be up to four times the amount of power the same appliance needs to run and can be needed for up to 10 seconds. A generator’s running power rating is the amount of power it can provide at one time. Generac propane portable generators are reliable as backups or for short work projects. They are easy to transport and use thanks to a smart design. Although the Generac 6000 and 6001 don’t impress knowledgeable buyers with performance, their design is faultless. They weigh less than most portable generators of similar or larger size and is perfectly balanced. The Generac LP 3250, or model 6000, has two regular power outlets of 120V and a rotating 120/240V one that increases its usability and convenience. Its propane tank holder is attached to the outer frame of the generator, which further increases its ease of use. Generac’s suggested retail price for their 6000 model is $609 – much cheaper than other models. The LP 3250 has a rated running output of 3250 Watts, but can provide up to 3750 Watts – its maximum starting output. It has a 20 lb tank The Generac 6000 is an average portable propane generator that can be comfortably used during a power outage. With a full tank, it can run for 9 hours at 50% capacity. 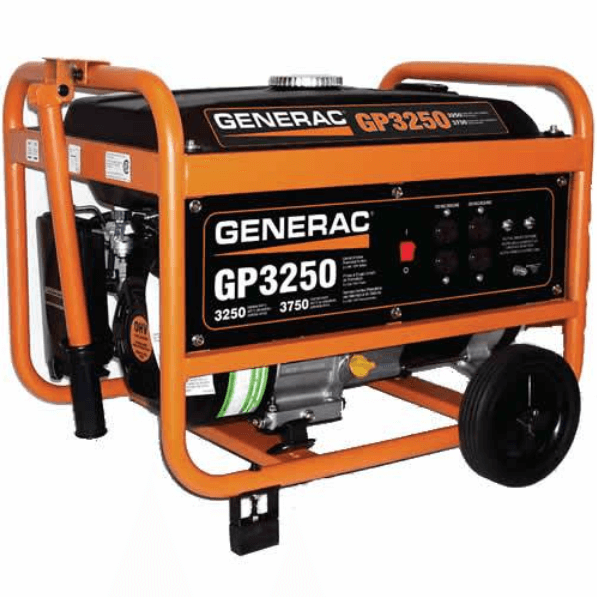 The Generac LP 5500, also known as model 6001, is a propane portable generator which is able to provide a surge power of 6,875 Watts for 10 seconds and a rated alternative current running output of 5500 Watts. It can hold a 30-pound tank or almost 5 gallons of propane. Generac’s suggested retail price for the 6001 model is $799. If the LP5500 has a downside, it would be its short running time. When working at half of its maximum capacity, Generac’s 6001 model can power appliances for a little over 11 hours. While this is an average time, it still cannot compare with top models which can work up to 14 hours at 50% capacity. We’re not thrilled about its efficiency either: The Generac 6001 burns a little over 1 gallon per hour when working at 50% of its maximum capacity. Nevertheless, Generac generators can be successfully used occasionally, as backup systems. The GEN series from Sportsman are dual-fuel generators that can use propane or gasoline to provide a reliable amount of power during outages. In addition, they feature a circuit interrupter that shuts the devices off when detecting its current is running through an unintended path, thus increasing the generators’ safety. However, their downside is hard to ignore: With an 80 dB average noise output, they are loud – extremely loud if we think about other propane powered generators. Therefore, generators in the Sportsman GEN series are not recommended to campers or workers who plan on using it often. The Sportsman GEN 4000 LP has a power surge rating of 4,000 Watts and a running power output of 3,000 Watts. While of average performance, it can successfully power a small home for a few hours. The Sportsman GEN 7500 DF’s surge power rating, on the other hand, is of 7,500 Watts and a running power output of 6,000 Watts. Since it is able to run for about 9 hours on 6.2 gallons of gasoline, its fuel efficiency is below average. However, it makes up for the low efficiency by having a set of convenient features. It has no less than 7 outlets: 4 regular household outlets, one RV outlet of 120 Volts, a 12-volt direct current outlet, and a 120/240 Volts rotating outlet that can support industrial machinery. The Cummins Onan Residential RS Series is famous for its propane generators for home. Their most noteworthy feature is the patented enclosure, which not only helps with ventilation but drastically reduces the noise output to 62 dB. Therefore, generators in the Cummins Residential RS Series are the quietest in their class. They are next-level generators that can be monitored and controlled remotely, via internet. Their price is close to $10,000. The Cummins Onan Residential RS 20A/AC is a full-use generator that is able to function at temperatures well below the freezing point. The Cummins Onan Residential RS 14F, on the other hand, is not equipped for cold weather. Nevertheless, they both can provide energy for a whole house given enough propane. In fact, they are able to power a 15,000 BTU air conditioner in the middle of summer and still have some power available for a handful of smaller appliances. A Yamaha propane generator from the EF series is generally considered the best propane generator in its price range. However, it is also about 1.5 times more expensive than other portable generators that run on propane. The Yamaha EF 4000 DE has a rated alternative current output of 3500 Watts and a maximum alternative current output of 4000 Watts. It is the “weakest” portable generator in the EF series but still has an above average performance. The Yamaha EF 6600 DE/D has a maximum alternative current output of 6,600 Watts and a rated alternative current output of 6,000 Watts. It is among the most powerful portable generators at the moment. With a maximum noise output of 60 dBA, it can be considered one of the quietest propane powered generators. The suggested retail price for this Yamaha generator is just under $2,500 and comes with a 3-year warranty. Winco is specialized in tri-fuel portable generators. They are generally more expensive and heavier than average, but they are also among the most powerful portable generators. The Winco HPS 6000 HE has a 5500 Watts rated running power and a 6000 Watts peak power output. It has a 7-gallons tank and can run for 7 hours at full load. If only functioning at half of its full load, the HPS 6000 HE can continuously run for almost 10 hours. The Winco HPS 9000 VE has a 7-gallon fuel tank and can run for 7 hours at half of its full capacity. When working at full capacity, it is able to function for almost 5 hours and a half. It has a peak power output of 9000 Watts and a rated power output of 8000 Watts. The Winco HPS 12000 HE has a 12000 Watts peak power output and a rated power output of 10800 Watts. It is able to run for 9 hours at full load and for almost 15 hours at 50% of its full capacity. It has a 15-gallons tank and produces 78 dB at most. For generators, Powerland is specialized in tri-fuel appliances. Although a bit noisier than other propane powered generators, they still are considerably quieter than generators using other types of fuels. The Powerland 6500 has a peak power of 6500 Watts and a rated power output of 5500 Watts. It features a wheel kit and handle, which makes moving the generator around convenient. As for the price, it starts off at about $800 – cheaper than top models. The Powerland 8500 has a 7-gallon fuel tank. Its peak power output is 8500 Watts and a rated power output of 7000 Watts. With a recommended retail price of a little over $1,000, it is considered an average generator that is best to be used as a backup. The Powerland 10000 has a recommended retail price of $1,200. Although it might seem a bit costly, it definitely is the best propane generator by Powerland. Its peak power output can reach 10000 Watts, while its rated power output averages 8000 Watts. All in all, Powerland generators are a viable choice for those who only want a backup generator. However, if you plan on using the generator often, you should probably choose a different brand. Propane generators are reliable and usually highly efficient. Although a bit more expensive than other types of generators, they quickly pay for themselves. For smaller, portable models, the price difference is not considerable. More powerful models that can be used to power a whole house during a power outage are considerably more expensive, but quality will always be directly proportional to their retail price.